Love how you used the solid and outlined image, Simply an amazing CAS creation! I will definitely give it a try! What a fab diy printed paper!! Oh wow! Litterally "Simply Amazing"! I love the daisies!!!! Love these daisies. Your card is so springlike. 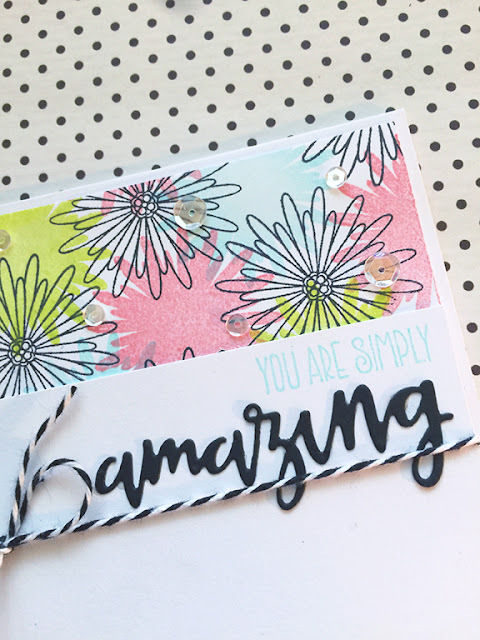 Beautiful card, love how you used the daisy set and the sentiment is perfect. love the pop of colour at the top…I agree, sometimes that's all you need! Lovely card! Alternating the solid and outline stamps is a great idea! Yes, a very pretty design! I love the colors you used together for your daisie panel and that you let white show. Makes it almost look water colored. Great choice. YOU are amazing in my opinion. Thanks for sharing your creative talent. Card making IS about the ink and paper after all! 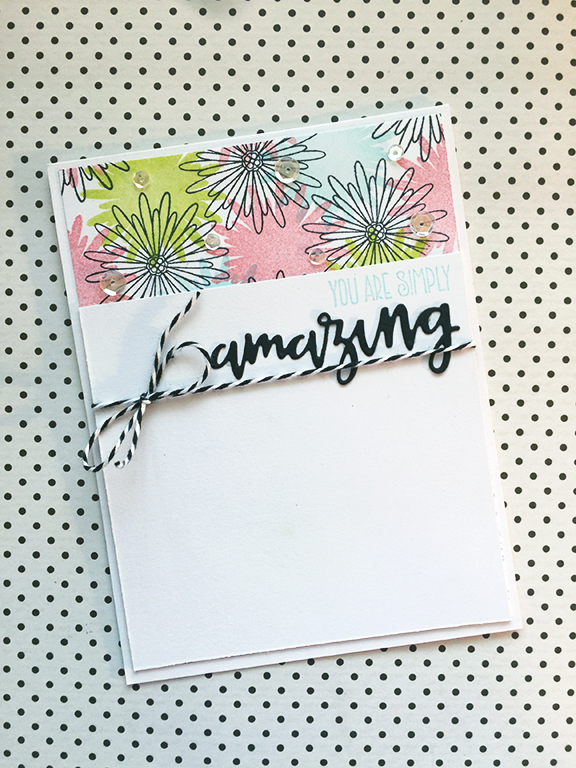 Your stamped piece looks like printed card stock-amazing! Very pretty. Love this new flower set. Cool card! I Luke how you created your own patterned paper by stamping the solid and outline flower s in black and colors. Wonderful card design! This is such a pretty new set! Simply amazing is an apt description of your card! Love the graphic look! So pretty! Love your color combo! Beautiful stamps and dies! Wonderful card, I love how you have used the stamps to make your own patterned paper at the top. A beautiful CAS card. 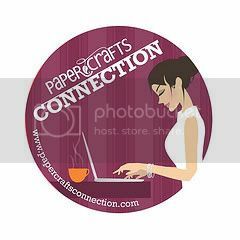 I really love the DP you've created with the solid and outline stamps. The sequins add the perfect touch. These word dies are amazing! 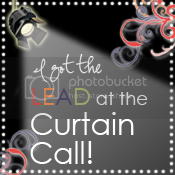 Love the patterned background you have created, too! How pretty!! The combo of the solid and outline images creates such a pretty pattern. Beautiful card, love the word phrase!! clean, simple and absolutely gorgeous! the clean cards are my favorites! and your card is amazing, super beautiful! Love this card Amber! That stamped background is awesome! Perfect background paper! Love the black AMAZING on the white space! This is gorgeous and has sweet colors! I'm thinking I should try this also, I like how all the interest is at the top of the card! Love the font of the sentiments in this set. Love it! The little bit of color is just perfect. This is really pretty. I like how you offset the flower elements. Well done! Such a sweet and simple card. Love your colors and the word dies are wonderful. This is a great clean and simple card. I love the flowers stamped in black against the colored background. What a clever way to stamp your card. I am so going to try this! Love this set and I really love your card-so unique. Thanks for sharing. The layering on the card is breathtaking. I like the burst of flowers and all the white space. Its very pretty together. I like your layout and color-combo, but most of all seeing how very versatile these sets are. I really like them. OMG I LOVE this!! I desperately miss being on a stamp team- this is amazeballs! love those flower stamps! Love that patterned paper that you created, it's so so pretty! Amazing, indeed!! Love the white space and the happy & bright colors you've used at the top. 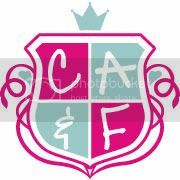 Fabulous CAS! Love the diecut sentiment, it's just amazing! Great design for simple floral stamps! Your card is well just amazing. Thanks for sharing. 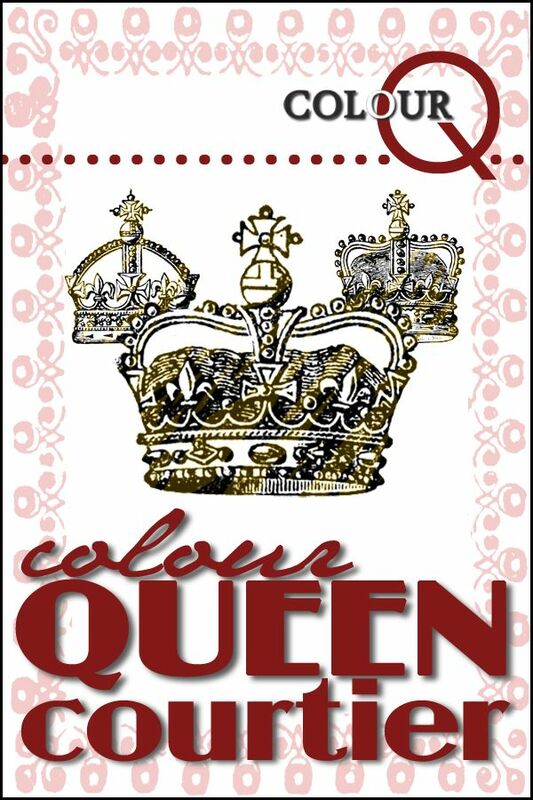 These are both fabulous, like your color choices! Love this simple and beautiful design.